For years, as a teacher, I have counseled my students that simply because they are “disenfranchised” “powerless” adolescents doesn’t mean that they are powerless. In fact, the contrary declaration can be made- that they are tremendously powerful. They scoff at the prediction, almost wallowing in their helplessness, like it is a delicious sauce that makes their adolescent dilemma one that they want to keep dipping into. Not ready for an alternative where they might have power, but also one where they must examine what they themselves are responsible for. In many ways this current generation of young people is the most powerful group of young people –because of their buying power, influence on global markets, digital interconnectedness, etc. Either they should be feared or exploited for this feature. Largely they seem to be swayed by the whim of ad campaigns – but another way to look at it is that they wield the most power (disposable income (in many developed and developing countries), access and fluency in digital communication and increasing access to information in its many incarnations, … ). This combination of attributes makes them potentially VERY powerful. And if these Latin American adolescents, or Chinese teens, or these (otherwise defined) “At-risk” children of immigrants in urban America are powerful, than we all are, if we so choose to be. We have the power of choice. And that power can make all the difference if you don’t flaunt it or abuse it. By examining our individual actions, by becoming increasingly curious and engaged with the systems we interact with daily, we can come to be truly empowered, by merely recognizing the variety of choice we each have. With these choices we can move mountains, whether in our stomachs, towns, cities or the world. It is our choices that make us powerful, Or in which we exhibit and express our power, Over our own bodies, lives, families, governments, politics and economies on a global scale. Through a complex series of events we have become increasingly removed from our food. Removed, in fact, from nearly everything we consume. We don’t know where our food, clothes… anything we consume, comes from. We don’t know who made it, grew it, cooked it (packaged it or shipped it). We don’t recognize parts when removed from the whole and we are helpless when required to make any of these things for ourselves. It is time for this to change; It is time for us to remember things we have been forgetting now for generations. I am choosing to exert my power over what I eat. These are the stories of that choice. 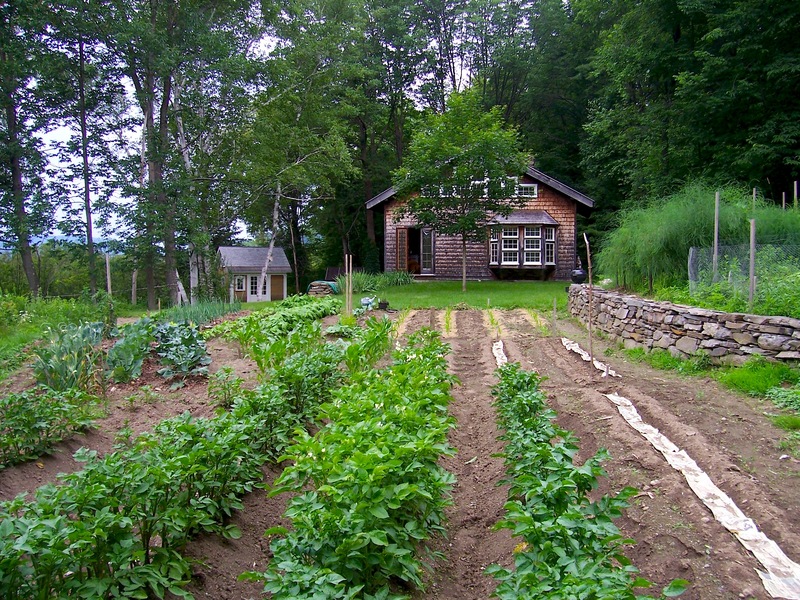 *Photo of my childhood home and the garden my dad grew to feed us. This entry was posted in Eating, Featured and tagged Act&ArtofEating, featured. Eating Well, Means Living Well.